Stencil updated May 2016. In August last year I loved a couple of photos of Pandas that I found online. 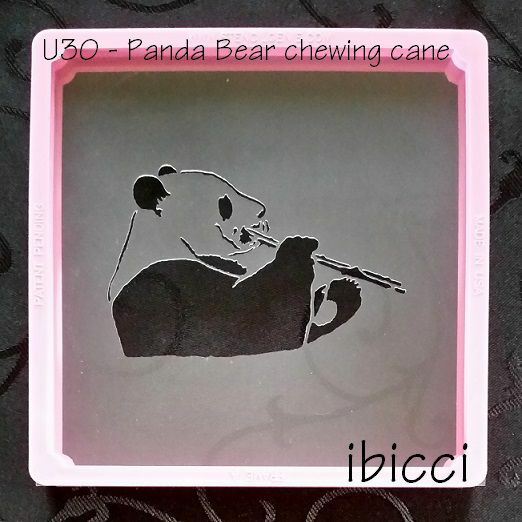 I had recently bought a Bamboo stencil, and decided to make a Panda stencil to go with it. The stencil has been finally updated and uploaded for purchase. The image size is 95mm wide so would suit a 4" plus sized cookie or a plaque.